LAS VEGAS (July 15, 2014) – The 45th annual World Series of Poker (WSOP) $10,000 No-Limit Hold’em Championship – commonly referred to as the Main Event – is down to its final nine players. The “November Nine” – a diverse and international group – is all that remains of the massive field of 6,683 players from 87 different nations who entered the iconic tournament seeking poker’s most coveted title and a top prize of $10 million. The final nine players represent six countries – Brazil, Netherlands, Norway, Spain, Sweden and the United States. The players will return to the Rio All-Suite Hotel and Casino on Monday, November 10 to vie for poker’s ultimate trophy – a WSOP gold bracelet – and the lion’s share of the Main Event’s $62,820,200 total prize pool. The winner will receive a guaranteed first-place prize of $10,000,000, with the other eight players sharing another $18,480,121. Perhaps the most unlikely final tablist this year is 29-year-old world foosball champion “Billy Pappas” Pappaconstantinou from Lowell, Massachusetts. He is a 29-year-old professional foosball player who is playing the WSOP Main Event for the first time. In fact, Billy has no previous WSOP experience. 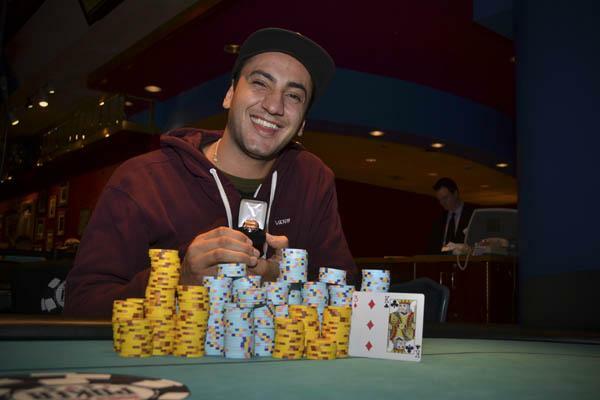 In total, he has earned $16,379 in live poker tournaments, mainly from a $500 buy-in event at the 2010 World Poker Finals where he took eighth place and won $15,341. But Pappaconstantinou is no stranger to long grueling hours of extreme tension and focus and credits his experience playing professional foosball as benefitting his deep run in the WSOP Main Event. The single Pappaconstantinou jetted into the WSOP Main Event from a European foosball tournament, and has plans to return back to Europe for another foosball event later this month. He is a five-time U.S. foosball champion and is a world-recognized champion in foosball hoping to add his name to the legendary list of poker World Champions. 51-year-old Luis Velador finished in 10th place, just one spot away from the November Nine. Velador, from Corona, California is a two-time WSOP gold bracelet winner and was the last remaining WSOP gold bracelet winner in the field. He went all-in with pocket fours preflop and was called by Newhouse with pocket fives. Velador got no help from the community cards and was our 2014 WSOP Main Event final table bubble boy, but he does collect tenth place prize money of $565,193. When play resumes November 10, the players will pick up with 1 hour, 35 minutes and 24 seconds remaining in Level 35. The antes will be 50,000 and blinds will stand at 200,000 and 400,000. 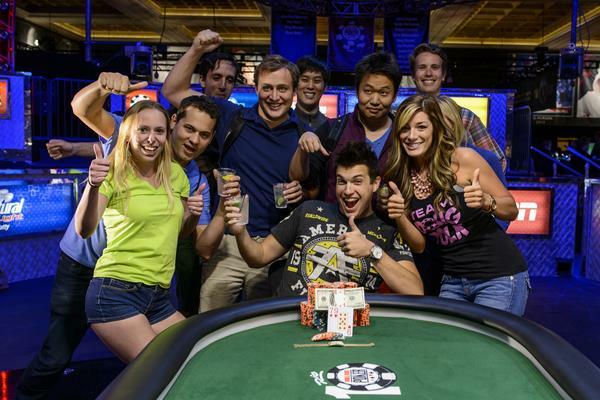 Comprehensive WSOP Main Event television coverage will begin airing Sunday, September 28 at 9 p.m. Eastern on ESPN. Coverage will continue in two-hour blocks each Sunday at 9 p.m. culminating with Main Event Final Table coverage on November 10-11, 2014. The 2014 Main Event capped the largest-ever WSOP in terms of entrants and prize pool in the 45-year history of the event. A total of 82,360 players from 110 countries entered the 65 events on this summer’s WSOP schedule, generating a total record prize pool of $227,712,923. About the author: The World Series of Poker's official website, WSOP.com has been under its parent company's editorial control since October, 2009, when Seth Palansky became the website's first Editor-In-Chief. Palansky, who had been with the WSOP's parent company, Caesars Interactive Entertainment, Inc. (CIE) since its inception in May, 2009, took over the reins of the website from previous editorial provider, Bluff Magazine, who managed the site from 2006-2009.